Information management company focuses on placing resellers in the right level of its channel program. A renewed outlook to the channel was required in order to succeed, and the vendor had to redefine and restructure itself to better support partners, according to Teague. “We have invested in that team and defined new roles and responsibilities, where we have better geographical coverage for all partners moving forward,” he said. HDS A/NZ already had sales engagement rules in place to protect resellers, though Teague admits they were not as well enforced as they should have been. “We have reviewed those rules with senior management team, revised them, and communicated them on numerous occasions to all internal HDS staff on how we need to behave with partners,” he said. Those rules have also been passed on to partners to ensure everyone behaves in such a way to be successful. Another area HDS A/NZ struggled with until recently was effectively managing opportunity registration. “It’s an important mechanism for partners, because it confirms we’re strategic in partnering on opportunities,” Teague said. When Teague joined HDS A/NZ last year, he said that were was an effective partner program in place, though it was not as well-communicated as it could have been. He said it is a vendor’s responsibility to ensure there is value in a program such this. “When you’re a platinum, gold or partner, it needs to mean something,” Teague said. Since then HDS A/NZ invested time and effort in “re-communicating” what the partner program is, the true value of it and what is required to maintain a level in it. Over the span of several months, HDS A/NZ carried out a “re-levelling” activity with its partners to ensure they are sitting appropriately in right parts of the program moving forward. “We encourage partners to adopt the right level of the program, and our teams are working actively on ensuring you are at that right level,” Teague said. 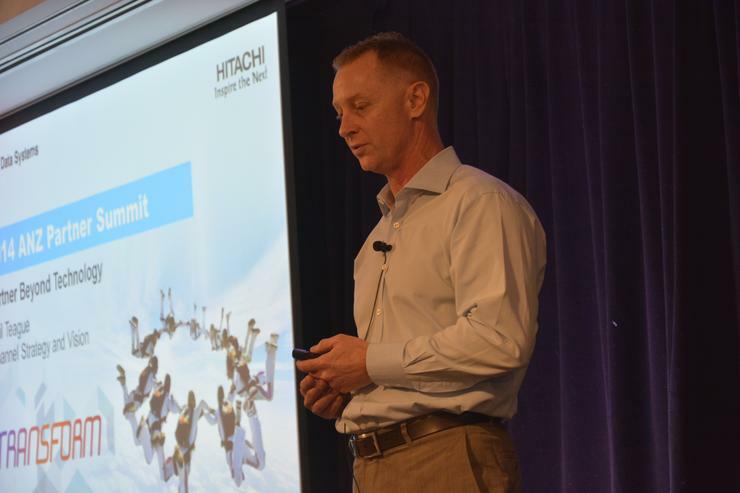 Patrick Budmar attended HDS’ A/NZ Partner Summit 2014 as a guest of HDS.